OK, so you know you have to fill in timesheets, and you know why…but it's still not a highlight of the week. 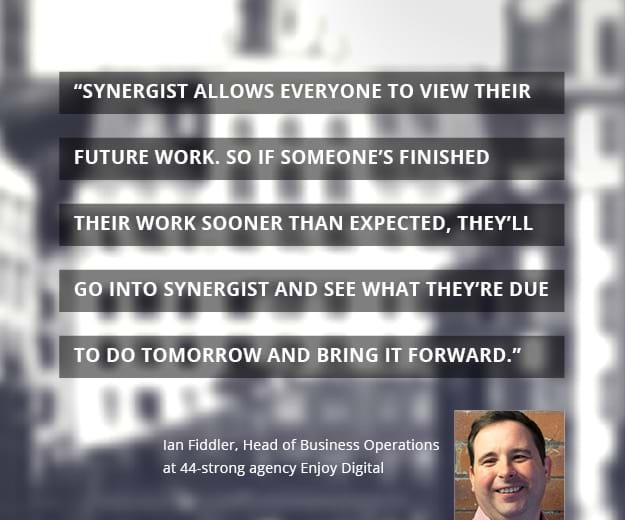 Synergist makes recording time as painless as possible. So, your company can get the information it needs to plan, estimate, quote and schedule. And you can get on with your ‘real’ job. Our users have also helped us refine our web browser based time entry options to include daily and weekly timesheet entry, and even pre-filled timesheets based on the resource scheduling. Their input will help make life even easier for you.